“Raw and Undeniable!” Not your everyday self-empowerment book. It reads like a novel followed with a powerful 60 day at home program including a free download workbook. Part 1 is the compelling, vulnerable and sometimes brutal story of a girl fighting for the understanding of her life and demons that haunt her. When faced with the harsh reality of the sum of her life and seeing no escape from the pain that is all she has known, she decides to take fate in her own hands. In a field alone at the break of day she makes the decision to end it all. What happens next could be called nothing short of a miracle. From the ashes of surrender she find her Phoenix and the strength and power to discover how to turn her tragedy to triumph, from victim to survivor and all the way to restoration. Her story takes us through healing an incurable illness and personal revelations while finding her passion, her purpose, life mastery and her soul mate. In Part 2 Tanja tells us about what the Phoenix means to her and how to find yours. How to use simple tools called “micro-practices” to get unstuck in any area of your life. 60 days of practices, in detail to follow along with and get you to the life you deserve and want. What have people used Riding The Phoenix practices to get unstuck from? Riding the Phoenix helped me realize why I was struggling in life. It helped me understand why I just couldn't seem to break through that invisible ceiling that kept me trapped and away from accomplishing what I wanted. To borrow from Tanja, I was stuck. 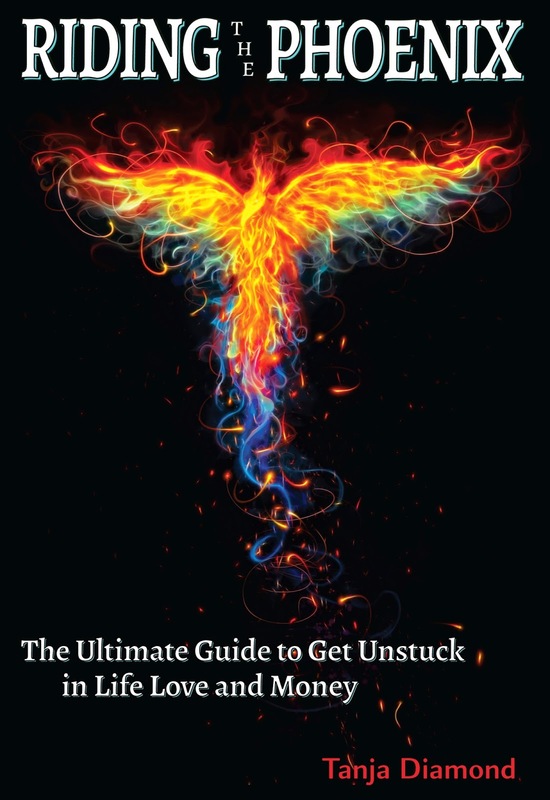 Riding the Phoenix not only helps you understand why you are stuck, but it also gives you tangible steps to deal with and even overcome your perceived limitations. It's not an easy journey, but one definitely worth taking. If you're tired to of your current situation, Riding the Phoenix will help get you to where you want to be. All you have to do is put in the time and effort.